When it comes to movies in this day and age, none are more popular than those which feature superheroes. Over the years we have seen the likes of Batman, Spider-Man and Superman all become household names in the movie theatres, going on to excel in the same manner in other areas too, such as in games. It is no secret that gaming operators are always on the lookout for inspiration and ideas, and this is especially the case for online slots brand mFortune, who actually produce their very own exclusive games. 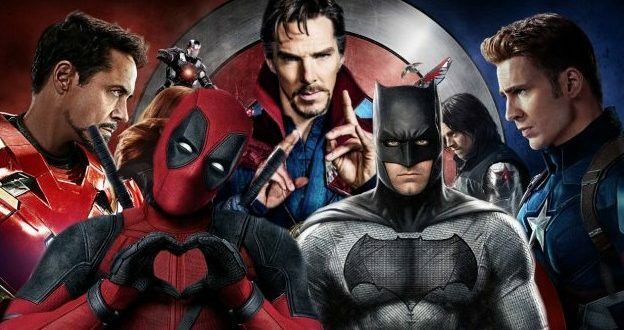 With the demand being so great for more superhero action, let’s take a look at three films from 2018 which could have a similar impact. Black Panther is a Marvel Comics superhero and he starred in his own movie in early 2018. The story centers around T’Challa who heads back to his native Wakanda to replace his father as king. T’Challa not only has to rule the African nation, he has to protect it too, in the face of extreme danger and conflict that put the fate of Wakanda at risk. T’Challa must go to war to defeat his foes, in order to keep the people of Wakanda safe, and this means he must unleash Black Panther on them. Black Panther has actually starred in games before, but never his own. The emergence of him as a leading character has totally changed the landscape in terms of diversity and a Black Panther game is a sure-fire hit. The storyline is ideal, who wouldn’t enjoy trying to save a nation and potentially the world from evil? While there would be the continuation of increased diversity too. Deadpool 2 is another instalment of Marvel Comics action, this time centering around the character, Deadpool. Deadpool is a witty mercenary and in this latest adventure he meets Russell, a teenage mutant full of anger and angst. Russell, however, becomes of interest to a soldier from the future and with this Deadpool sets about saving him, with the assistance of other powerful mutants such as Domino and Bedlam. The last Deadpool game was a rip-roaring success and you would imagine that another accompanying the latest movie would be just as good. What the game did well last time, which you would expect it do once again, is it captured the humour while still staying true to the comic books, creating total immersion. Spider-Man is one of the most famous superheroes of all time and the Marvel Comics star is back with a bang later this year with another instalment. Spider-Man: Into the Spider-Verse is set to be a computer animated movie which is born in the classic Spider-Man mold. It tells the story of how Miles Morales must be able to cope with his life as a normal high school kid, as well as being a superhero, in a world where there’s more than one Spider-Man. Spider-Man games have always been big hits, no matter what platform they’re played on. People love nothing more than taking on the role of the Marvel Comics star as he swings from building to building, trying to save the world from evil. Spider-Man was also a huge success in the online slots world too, giving fans another way to enjoy their favorite character.